EPL Top 6 Predictions: Who Can Topple Pep in 2018/2019? In the past season, we saw the reigning champions Chelsea FC fall so hard they couldn’t even qualify for the UEFA Champions League. Combined with Conte’s mumblings (justifiable and understandable), it eventually cost him his job, summing the performance of the London clubs in general last season. The City of Manchester, on the other hand, experienced better fortunes claiming the top 2 spots in the league with Pep Guardiola’s Manchester City crowned as champions (£200 million+/- well-spent innit). Not only did they win the title, they did so in style and the domineering performance of a juggernaut claiming 100 points in the process. 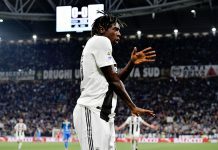 With the new season comes new perks however: Chelsea and Arsenal have had a change in the manager spot with Maurizio Sarri and Unai Emery coming in respectively, the transfer window has been slated to end before the season begins; a decision that has revamped completely the transfer strategies of all English clubs while those who didn’t adjust quickly pay the price again, amongst other things. In short, welcome to the new season and let us have our top 6 predictions from some of our biggest writers here at 352ng. So, leggo! Chelsea to climb back into the top, Pep’s charges to go platinum again. We’re back again. Last season, I will admit, sentiment made me choose Man United finishing as champions over Man City. Now I will try to be objective about it. Manchester City FC: Do we really have to say much on this one? I absolutely believe Man City will win the league again. They might not stroll to the title the way they did last season, but they have what it takes to retain their crown. 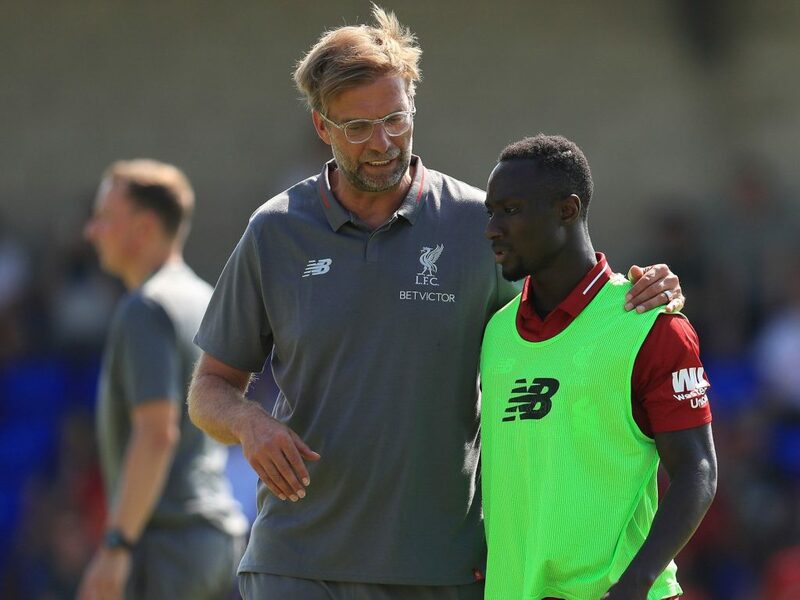 Liverpool FC: Jurgen Klopp’s men are known to play beautiful football, and although we aren’t moved by preseason prowess, they seem more composed than they were last season. With additions like Keita, Fabinho and Shaqiri to their already strong ranks, if there’s any team that can push Man City all the way, it’s them. Manchester United FC: Man Utd, unlike their neighbours have many problems. After failing to effectively add to their ranks in this summer transfer window, many fans wonder what fate awaits them. I still think they’d end up third, they might not play beautiful football but Mourinho and his men know how to win when they want to. Chelsea FC: #Sarriball is just starting and they might not have all the personnel they need, but they have what it takes to stay in the top four. Tottenham Hotspurs: For me, the only reason Spurs aren’t in the top four is Liverpool. Even though Pochettino surprisingly didn’t get reinforcements, they still seem like a team to stay in the top 6. But then, things change, and they might end up being 2nd, 3rd, 4th or even 7th. One thing is for sure though, they won’t win the league. Arsenal FC: Emery needs time. A LOT of time. Title to stay in Manchester, Liverpool to fall short, Revenge of the 6th for Arsenal. It will hard for this Manchester City side to replicate the heroics of last season, but the Cityzens have enough to win the league again. The arrival of Algerian Riyad Mahrez indicates there is no slowing down in the blue half of Manchester and Coach Pep Guardiola is experienced in a title challenge season as his time in Spain and Germany will show. Jurgen Klopp has asked for expectations to be tempered down and I think the Merseyside outfit will give the title a go but will fall short. Recruitment has been top-notch with amazing talents like Naby Keita, Allison Becker and they will add to the brilliance of the front three (Mane, Salah and Firmino) but that might not be enough to bring the title after 26 years. A tough summer and pessimistic entrance to the season by everyone associated with Manchester United, but if there’s something about a Jose Mourinho side, it’s an ability to win matches without having to play the best football. With no real business in the summer transfer, United still have enough talent to compete for the top four spots. The London outfit have a new coach with a completely different approach to the previous regime and #Sarriball will take time and it might be too late to get to my predicted top 3 before it gets fully activated and a Europa League campaign will make things harder for the blues. But there are enough talents to secure a Champions League spot. A new era, arsenal needs to rebuild on and off the pitch after the departure of long-term coach Arsene Wenger and that will take time, the gunners will need another summer transfer window before they can challenge for a top 4 position and will fall short this season and a Europa league campaign won’t help either. Investment in a new stadium crippled transfer business for Tottenham and they were unable to bring anyone in this summer and coupled with the fact that they must compete in Europe again, that might not be enough personnel for Spurs when the matches come thick and fast. Manchester City – Barring an injury to several players on the team, they should not have so many problems winning games. I believe their greatest undoing might lie in not securing an alternative to Fernandinho, but I believe they should be able to finish off teams nonetheless. Liverpool – Finished 4th last season because of their inability to finish off lesser teams and conceding goals. With goals coming from the likes of Salah, Mane and Firmino and a better understanding between their defenders, Liverpool will be the closest challengers to City. Manchester United – The team has a semblance to the one that finished second last season. Their greatest task this season is to come up with the goods when it matters (E.g. : The losses to Brighton and West Brom last season, will not be good enough this season). Which version of Jose Mourinho are we expecting? The version that downplays victories till he is one step from winning the title or the version that breaks down in the season 3. Tottenham – The first team not to sign a player in the summer transfer window since it was introduced, we expect more of the same from the Spurs team that finished third last season. I do not see them having enough squad depth to challenge for continental and league honours at the same time. It is high time Pochettino showed workings by winning a trophy though. Chelsea – Maurizio Sarri says he will need time to implement his style on this Chelsea team. It is not going to be smooth sailing this season, but once Sarri gets the team playing “Sarriball”, we might just be in for a surprise. 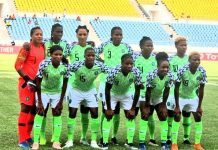 With expectations not so high, and the team fighting for continental honours, I think a fifth-place finish is just right. Arsenal – After several years, Arsene Wenger is no longer at the helm. I think Arsenal fans understand that this season is one without expectations. Unai Emery needs a few transfer windows to get the kind of players he wants to play the style he wants before we can talk about a return to the top 4. Manchester City Champions, Spurs claim 4th spot, Chelsea doesn’t make it. The EPL is back again and finally, our weekends have meaning! Some of us even picked up weird hobbies like painting during the break after The World Cup. With flurries of transfers after The World Cup, the 2018/2019 EPL season offers new excitements and a few surprises. With no further ado, I shall make my prediction. Yes, Wenger is gone, unfortunately, his spirit and legacy remain. The core of the team during Wenger’s tenure is still there. As such this will be a transition time for Arsenal and Unai Emery will have his work cut out for him. This season will be for testing formations, tactics and transitions. He has been busy in the transfer window trying to solve Arsenal’s problem of a solid defensive midfielder by buying Guendouzi and Torreira. Newcomers will have to fight for a spot and prove that they deserve to wear the white and red. 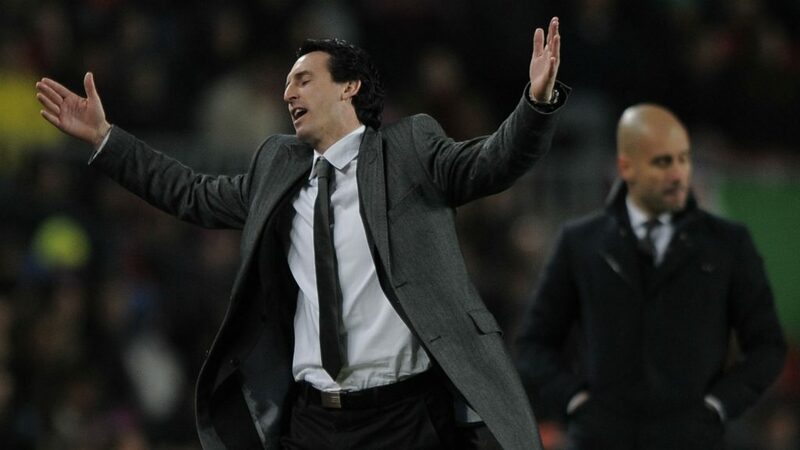 Emery should be judged on an improvement in team performance and the Europa League and not so much on his EPL finish if Arsenal remain in Europe. Last season was a disaster for Chelsea as Conte lost his grip on the team and influence on the board. However, Sarri brings in a bit of fresh air. Like Arsenal, the core players except for Courtois all remained. Although Chelsea fans do not approve of the Courtois transfer saga, it is worthy to note that it was coming for a while now and the Chelsea board should have handled it better. With the addition of Jorginho and a vibrant youth system, we should see a different Chelsea this season. A more exciting gameplay and hopefully Sarri can implement his Napoli system in Chelsea. I expect Chelsea to be the dark horses, spring a few surprises, keep the top four teams on their toes and scatter the EPL a bit. Spurs are the apple of the English media eyes and can do no wrong. Granted that they have managed a top 3 finish in the last 4 seasons, they have been the “almost” team. Spurs do well at the beginning but always fizzle out towards the end and Pocchetino’s seat seems to be getting warmer. They have managed to retain their talisman collection; Eriksen, Kane, Dembele and Alli. However, with a declining backline, I wonder how long they can hold out the young, pacey and vibrant attackers of City, Liverpool and United. United, United, United. Despite Manchester United being the biggest club in the EPL, they haven’t gotten it right since the departure of Sir Alex. Last season was quite a drawl. If you ask me, the squad underperformed by scoring only 68 goals last season when the average goals scored by a title-winning team is 81. United will have to improve on that record this season. Thus, it is no surprise that all eyes fall on Mourinho to improve on their performance as he has an excellent squad at his disposal; Pogba, Rashford, Mata, Martial, Matic, Baily etc. However, Mourinho has done what he has always done by spewing negativity to the media to draw attention away from him. This is his third season and he is aware his time is almost up and if he doesn’t deliver he’ll be out of a job by 2019. 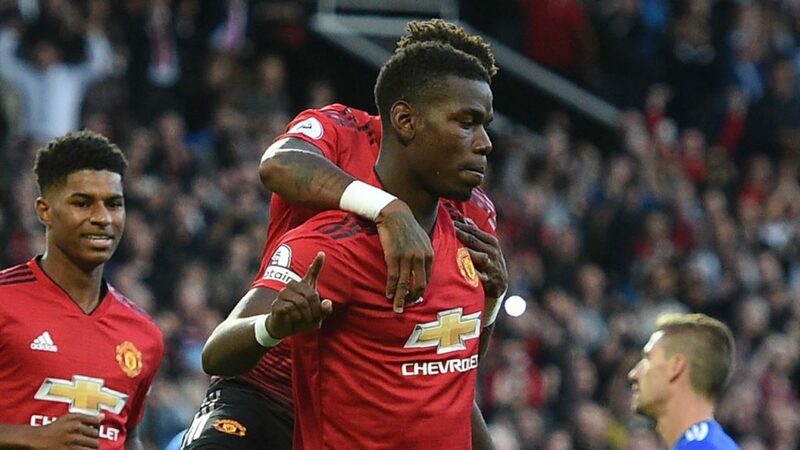 With turmoil brewing under the surface between Martial and Mourinho and Pogba and Mourinho, I expect him to not deliver and United to stumble to a 3rd place finish. The most exciting team to watch in the EPL, Jurgen Klopp has completely turned around Liverpool and moulded them into a powerhouse. The Three Musketeers fired Liverpool to a Champions League final scoring a tremendous amount of goals along the way. But there was a slight problem; they have no replacements. This was fixed with the signing of Shaqiri and Keita who have shown to play the type of energetic football Klopp loves. Coupled with the return of Daniel Sturridge, I expect Liverpool to give City a run for their money. Also, van Dijk has settled into his role at Liverpool and I expect a formidable performance from him. However, Liverpool is still poor defensively and this will mar their attacking efforts. Manchester City ran away with the league title with a 19-point lead. They overran every team in the league last season except Liverpool. With a blend of youth and experience, nobody comes close. 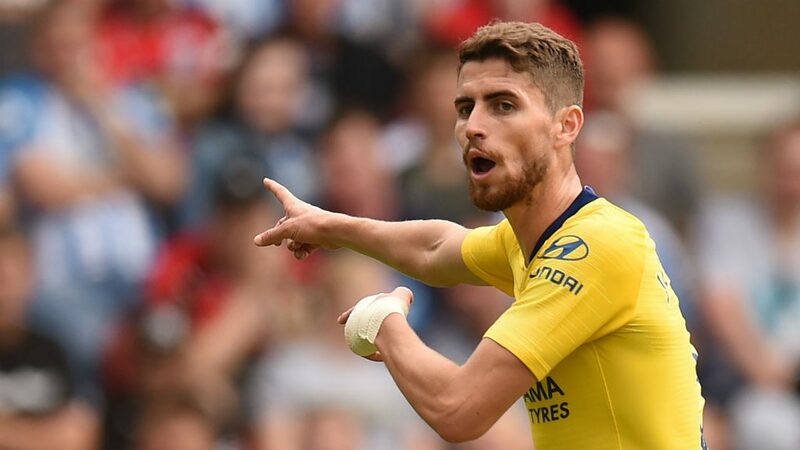 However, with the declining age of Fernandinho and no replacement in sight, we must thank Chelsea for signing Jorginho as City would have been unbeatable if they had signed him thus giving Liverpool a slight chance. During the transfer window, the addition of Mahrez alongside Laporte finding his feet and Mendy returning to fitness even makes them stronger to the point where it might be an overkill. They also managed to retain their title-winning squad from the previous season. The title is theirs to lose. Arsenal qualify for Champions League, Kop are title challengers, City are Champions. 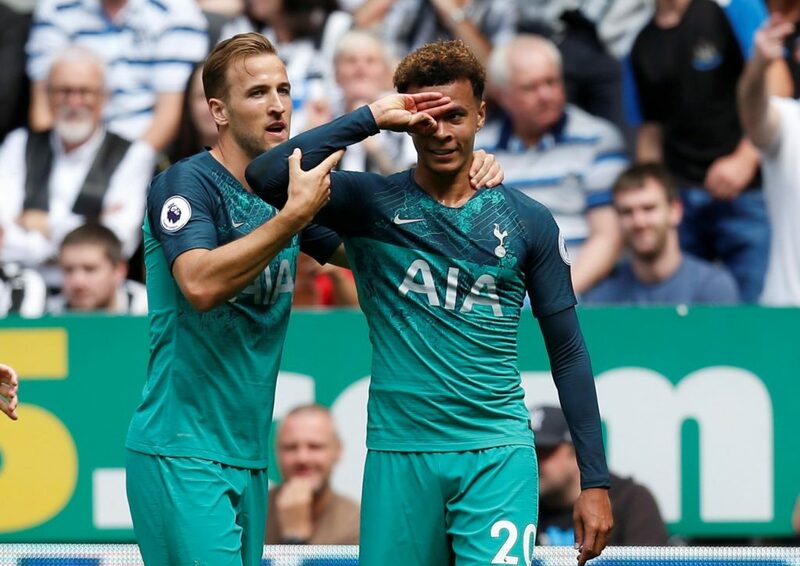 Tottenham recently became the first Premier League club not to buy a single player in the transfer window since it was first introduced, and you can imagine them throwing this line around should they manage any sort of achievement this season – knowing Tottenham that’s anything. But this is not about that anyway, this is about the Tottenham squad not having enough squad depth and needing better quality backup players that can step in and make nearly as good an impact as the first 11 to deal with putting pressure competing across all competitions. Chelsea let go of Antonio Conte before the start of the season and replaced him with cigarette smoking, exciting football playing head coach who has done well to identify and sign players like Jorginho & Kovacic that suit his preferred style of play. 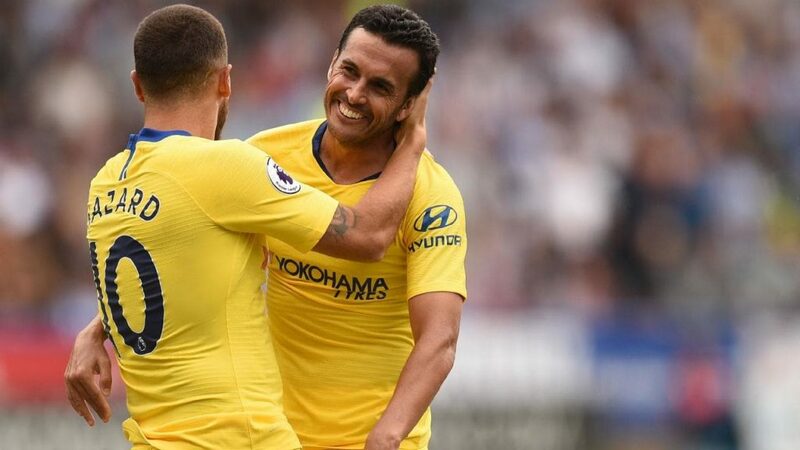 However, I feel they might not be ready just yet to make it back into the top 4 especially if Hazard leaves to Real Madrid and they are left with Morata leading their attack. Home sweet…call me biased or whatever, I don’t care, it doesn’t change the fact that Unai Emery is going to ensure his new team presses their way back to playing champions league football. This might be one of the first time in a few years that I’ve not completely thought “this year is our year”. I mean I want to but deep down, I know it’s a reach so I’m giving the team some time to settle with the new order of the day. It’s the beginning of a new era following the departure of the GOAT, Le Prof Arsene Wenger at the end of last season. Since the arrival of the new head coach though, there’s been a great sense of optimism and positive beliefs amongst fans and the club hierarchy for the start of this new era which comes with an entirely different approach to the way things were. A very okay transfer window, a new style of play and hopefully determination from the current crop of players make me see Arsenal finishing 4th at worst. 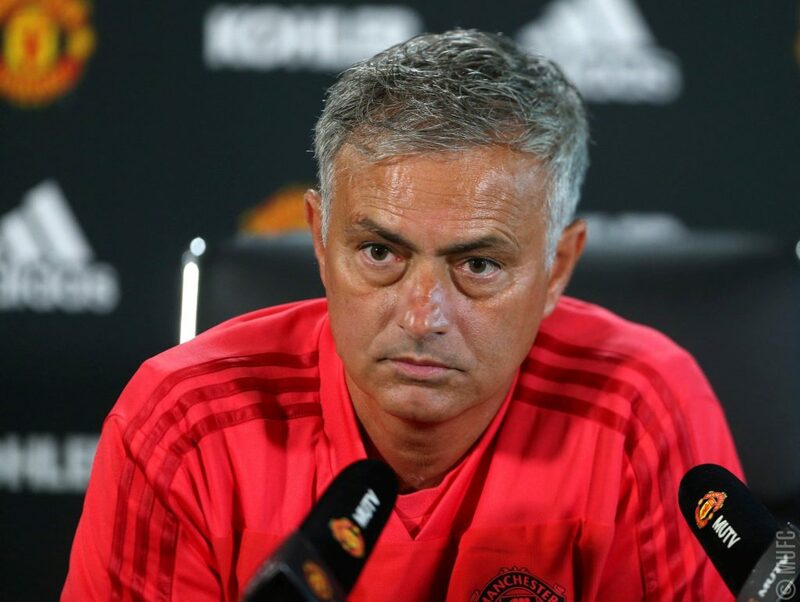 The season has barely started but Mourinho has already complained about any and everything ahead of his third season in United and you must have heard of what mostly happens in his third seasons at the helm of a club. Nevertheless, with the quality of players he has and provided Dave continues to save (unlike at the World Cup), Manchester United has no business finishing below third. In fact, I won’t be surprised if, in all the storm, Mourinho finds a way to have the last laugh, it’s really his last shot at proving he’s still a top manager. Klopp has been able to get a squad rich with quality and a high level of cohesion over the past seasons. He has even rescinded on his words and gone on to make very unexpected expensive key reinforcements in areas you might have argued they lacked. Somehow though, he still thinks they are underdogs and shouldn’t be expected to win the league. Agreed, winning the league is no easy task but I think they have what it takes to win it even though I’m a bit sceptical because it’s Liverpool and we’ve been here before. It seems the footballing world is tipping either of Manchester City or Liverpool to win the league and you can’t necessarily blame them, have you seen both squads? Manchester City had the most complete squad in the English Premier League and still went on to make a very important Riyad Mahrez signing. But this is not just because one of the best playmakers in the league joined the best team in the league, no, more than that, Pep Guardiola is still in charge and you can expect them to continue playing exceptionally intriguing football moving forward. Will they retain the title? I think so, maybe not with as much glitz and glamour like they did last time, but I think they will win the league again with only Liverpool posing a real threat. Till then, follow me on Twitter @paolokonqueror and send me money. There you have it, the top 6 predictions for the English Premier League! I’m looking forward to seeing you in May 2019 when we find out who got 6/6 in his/her predictions. Till then, let the games begin. 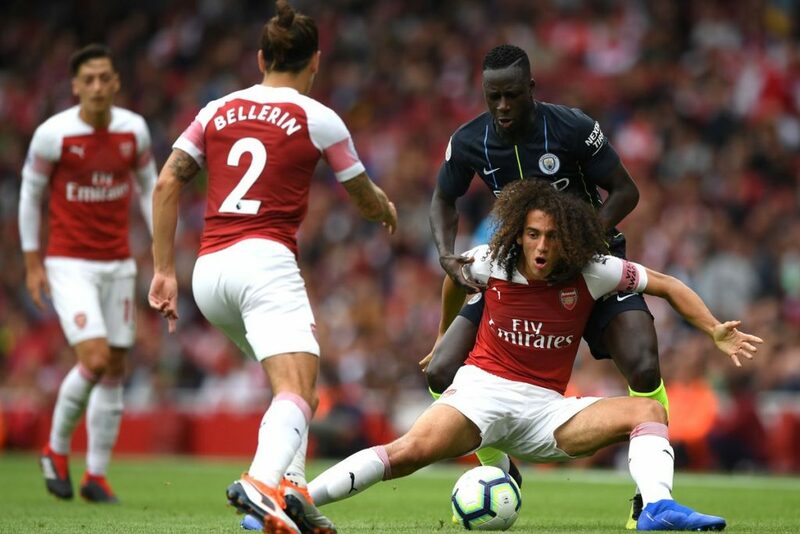 Previous articleArsenal v Chelsea Preview: Emery’s Gunners Aiming To Snuff Out Sarri’s Fire?